The Crowd Valley infrastructure is provided through a powerful and efficient Application Programming Interface ("API") layer, which allows flexibility in how it is utilized and deployed. Through its technical structure and ecosystem partnerships, Crowd Valley works with professional third party integrator partners and can extend it services to be provided by qualified third party companies. If your organization represents an audience that has a demand for solutions in the online peer to peer finance and crowd investing market, get in touch to explore the Crowd Valley Certified Integrator Program. The Crowd Valley API is the backbone of your online funding platform, creating endless possibilities to configure marketplaces for crowdfunding, P2P lending. business lending, online investment, wealth management, and many others with additional interactions with third party and partner services. The API centered structure makes it possible to build entire applications or networks of services around your crowd-investment platform, accessing different functionality separately or in full. 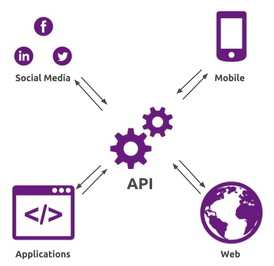 Build directly on top of our API or tap into our expertise.